Chris Temple and I weigh in on the recent Fed statement and press conference. Chris points out that this was a big change from the Fed. They are now much more worried about domestic and global growth than they have told us before. Click here to visit Chris’s site to find out more about his newsletter. If something can’t happen, it won’t happen. The Fed cannot raise rates without crippling the economy and ADDING TOO MUCH to the National Debt. Thus rates will not be raised. QT is going to be stopped soon, as I stated a month ago. QE will restart later this year, and continue until/if a collapse/reset occurs. +1 Couldn’t agree more. What does the Fed’s actions or inactions actually tell one about the real nature of our economy and than of the world in general? don’t get too cocky, IMO. Remember back to 2013: the Fed announces QEIII and the goldbugs expect gold to explode to new heights. 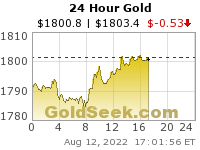 Instead what we got was gold dropping over the next few days until the BoJ announced a QE that dwarfed the Fed’s. Gold and commodities proceeded to plunge for the next 3 years. Not saying it will happen again, but never ever get too cocky when it comes to your investment thesis. This has nothing to do with gold. I simply believe we’re in trouble or at least the Fed is believing we’re in trouble and they are trying to not rock the boat any more. Yet, I’m more at ease with my PM holdings than if I was on the conventional markets bidding up AAPL. Let the chips fall…………. The game is up…& the FED know it….Somebody stole the can. The Fed/Government wants to generate 2% to 3% inflation; a rate at which the Government can steal from the people, without the general public complaining too much. By the Federal Reserve/Banking System filtering off too much money for themselves in a QE AND because private debt is already very high, the private sector CANNOT generate more borrowing and inflation. Inflation could still be generated by direct gifts of money to the people, but that “gift” of money would be merely a chimera ; in fact a double falsity: first, because the Government does not actually give anything; it merely redistributes. (And stealing capital from the wealthy tends to lower production) Second, because any inflation generated by this chimera steals back every penny “given”, unless more real wealth is created by higher production. Ditto on the without the general public complaining too much. The public not complaining too much. That’s funny, given the public has no idea how money is created and how sinister QE actually was. Meanwhile the alleged “guru’s” ponder another QE (when they have no clue what it is) and there won’t be another QE in our lifetimes because of the change in financial structure. What, Chartster, do you mean by “because of the change in financial structure”? I’m only going to give the 50,000 foot flyover. The QE scam can only happen when you use a debt instrument. The debt we have has run its course and the system will revert back to sound monetary policy. The QE scam is when a corrupt president lets his corrupt treasury secretary “give or assign” bonds to the fed so they can monetize those bonds, and then use the money to buy stock. The stock they buy is the same companies that the owners of the fed own. The top 500 companies they control. They create the debt for the plebs to pay while controlling the markets and companies putting the plebs out of business. All the while calling it “economic stimulus”. 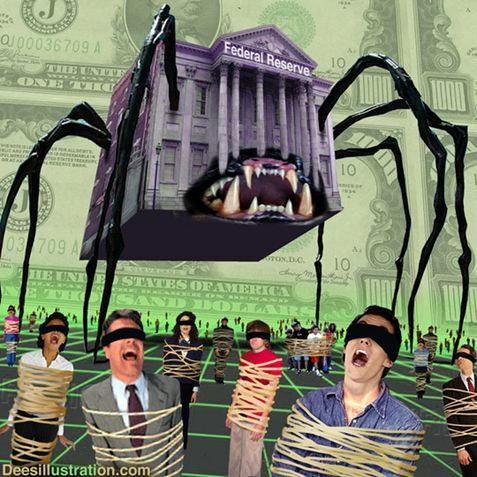 The change of financial structure is a president that won’t let the fed monetize the bonds to use against the plebs. That would be Trump. And then real economic freedom comes from sound monetary policy using a real currency backed by something tangible, that dosent create debt. Thanks. I now understand what you mean, but I have a different belief about Trump. I believe he will try to prop things up by some form of QE until he succeeds in draining more of the swamp. Trump has no Democrat support and little congressional Republican support, but if the economy begins to seriously slow, he will lose all support, and will be in danger from impeachment. About half of the increase in precious metal price rises today was purely due to the US dollar drop at the Fed announcements. What did that fedster have to say about QT? They going to keep reducing their balance sheet? Not for long – and in any case, the Fed has already said they would use their open market operations to BUY paper even for as long as they continue the official Q.T. That’s one of the many crazy things about how far they went today. . .I wonder if Powell will have to hit up Mrs. Yellen’s supplier of Depends? BANK OF ENGLAND…..storage NOT SAFE…. In early November 2018, it first came to light that the Bank of England in London was delaying and blocking the withdrawal of 14 tonnes of gold owned by the Venezuelan central bank, Banco Central de Venezuela (BCV). At the time, Reuters and The Times of London both reported that according to unnamed British ‘public officials’, the delays were being caused by the difficulty and cost of obtaining insurance for the gold shipment back to Venezuela, and also due to “standard measures to prevent money-laundering“. In a short space of time, the Bank of England reputation’s as an impartial and safe location for the storage and trading of gold looks to have been irreversibly damaged. We might be getting out of the UN…..
And the snipers have been targeting the leaders…………. Yes,……that was my point above……. 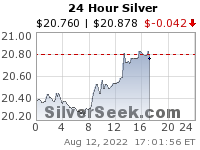 Can someone please explain why the USD isn’t 20% lower than current levels??? What the hell? It can’t even be “buy the news” type action since it barely sold off from its peak a month ago. I don’t expect another 2013—yet, but c’mon! USD should be dropping like a rock! It’s just a reflection of the weak euro. In real terms (best measured with gold), the USD has dropped significantly over the last several months. Just a few years ago, almost no one would have thought that we could see 1320 gold with the USD at 95+ (but I did try to explain why it was easily possible!). We’re better off watching just the gold price or the buck priced in gold. why is USD lower? ALL markets are rigged. Traitors to the country: Bill Priestap, Dana Boente, and Andrew McCabe. Truth will be coming out from IGs Office. Indy going to get a heat wave this week end……. +60F…..
Old Swifty……….is going to get some competition……..
Long anticipated, Thursday’s EU announcement marks the most concrete action Europe has taken to thwart Washington sanctions after the US pullout of the 2015 nuclear deal last May, and after SWIFT caved to US pressure. Would you not call the dems efforts here a coup against an elected official? I’m certainly not privy to the inner workings of this political mayhem, but one thing I do know…..Guaido was NOT elected. Is this just another a coup d’état? A coup by any other name is still a coup. Massive oil fields and the world’s largest gold reserves, both coveted by the west, and currently being developed by Russia and China from what I understand.